We’ve been in Portland for two years now! We live in the Pearl District. 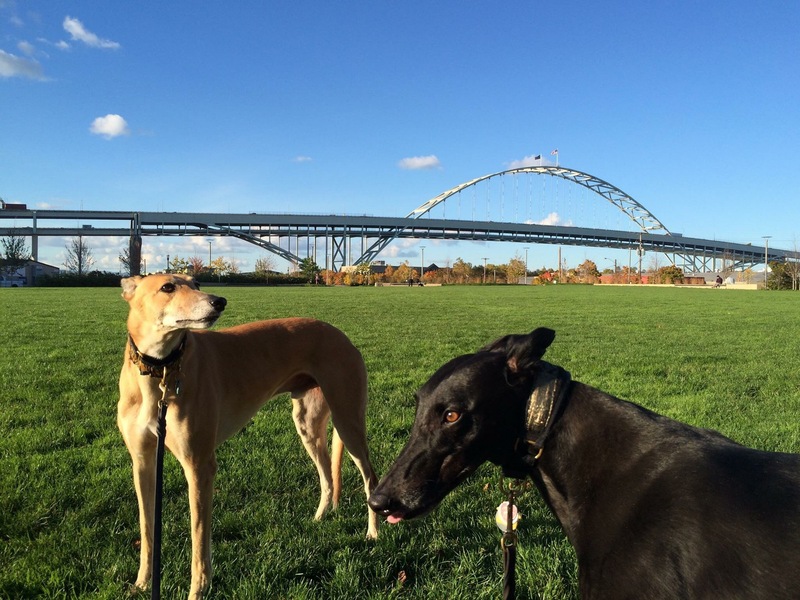 Portland is very dog-friendly, and there are lots of fun things to do. Here we are at one of our favorite local spots, The Fields. There are so many wonderful places to walk and explore urban living here. It’s always sooooo exciting to go for a walk in the ‘hood! But being in the Pacific Northwest…it does rain from time to time. We don’t mind a little rain. We have raincoats. But being true Pacific Northwesterners, we never use umbrellas. 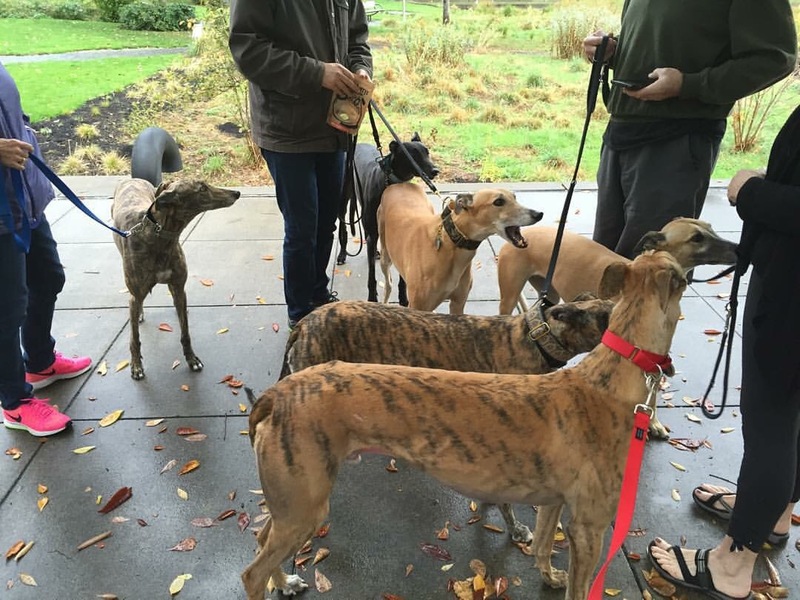 We’ve also made friends with other greyhounds in the neighborhood. This is Tiger, who looks more like a Tiger than our Tiger does. Here we are at Tanner Springs Park with our friends Tiger, Erin, Maggie and Emma. We do more than just hang out with our friends though. 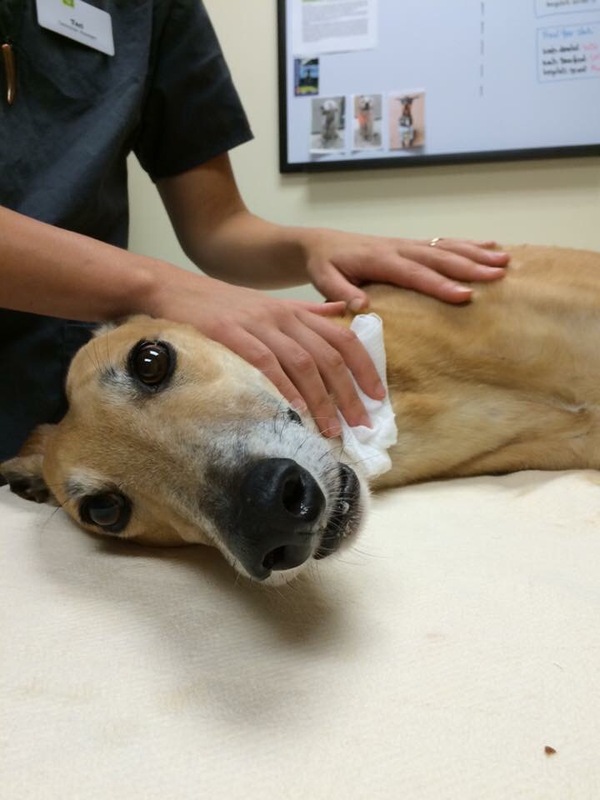 Our Tiger and Truman are blood donors at Dove Lewis Emergency Animal Hospital. Our Hero Dogs! DoveLewis is a truly wonderful place. 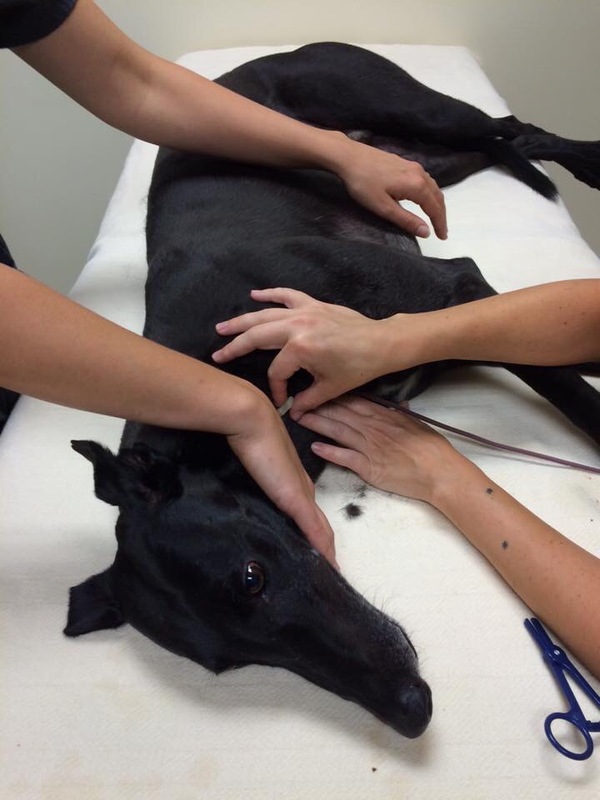 It’s a really Greyt feeling to know that we are making a difference and are helping animals in need. 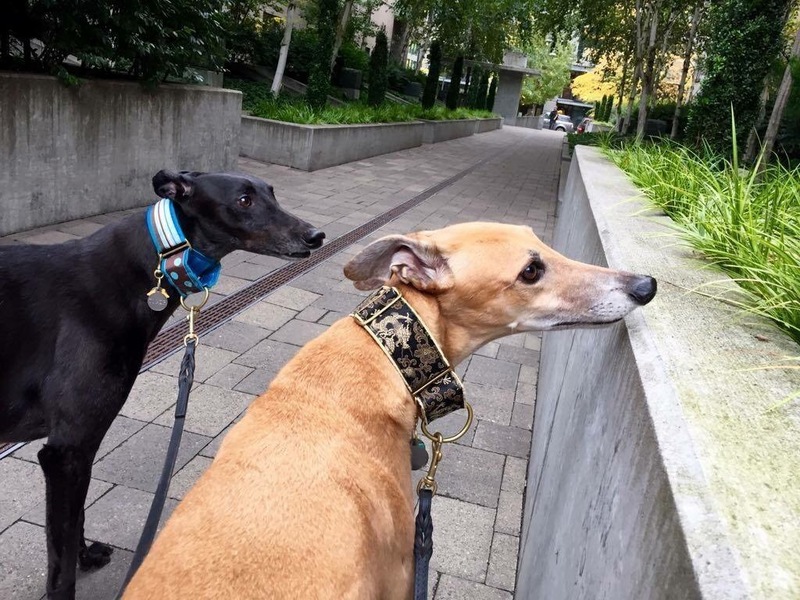 We’ll leave you with this reminder: April is Adopt a Greyhound month. 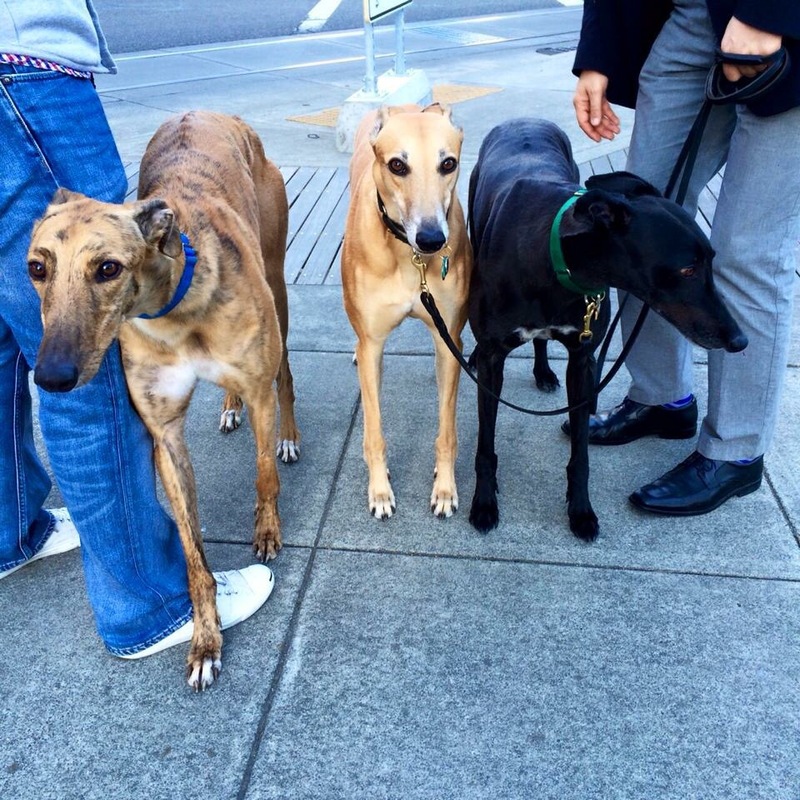 This entry was posted in Uncategorized and tagged dogs, DoveLewis, Greyhounds, PearlDistrict, Portland. Bookmark the permalink.